We were created to worship, and we all do it: believers, as well as unbelievers. The object of our worship is where the differences lie. It could be God, money, power, a hobby, a sport, philanthropy, or a lifestyle. As a matter of fact, there is an enemy that works tirelessly to see that believers worship anything, and everything, other than The Only One Worthy of our praise. Let’s face it. We have a very real, meaner-than-a junkyard dog, enemy. John 10:10 tells us that the thief comes to steal, kill, and destroy. He is the same enemy who wanted to be exalted higher than The Most High. He is the same enemy who tried to tempt Jesus Himself, into worshipping him (Luke 4:6-8). Our enemy has no scruples. He knows there is power in our praises, and will often go to great lengths to prevent, or disrupt, God’s people from worshipping Him. The enemy knows that praise can manifest God’s presence. And that scares him. When The Holy Spirit falls among God’s people, it repels the enemy. Do you know he shutters every time the humble gather and praise The King of Kings? Do you know that he dreads our praises, and he dreads the presence of The Lord inhabiting among His people? Do you know he is SO very threatened by it, that he works to put a stop to it? It’s the pushback. And we have to fight it, just like King Jehoshaphat and his army. 2 Chron. 20: 21-22 And when he had consulted with the people, he appointed those who should sing to the Lord, and who should praise the beauty of holiness, as they went out before the army and were saying: “Praise the Lord, For His mercy endures forever.” Now when they began to sing and praise, the Lord set ambushes against the people of Ammon, Moab and Mount Seir, who had come against Judah; and they were defeated. As Judah began praise God with the expectancy that He would fight for them, their enemy was defeated! This is true for us today! The enemy knows this, and so he often will do all he can to stop worship. 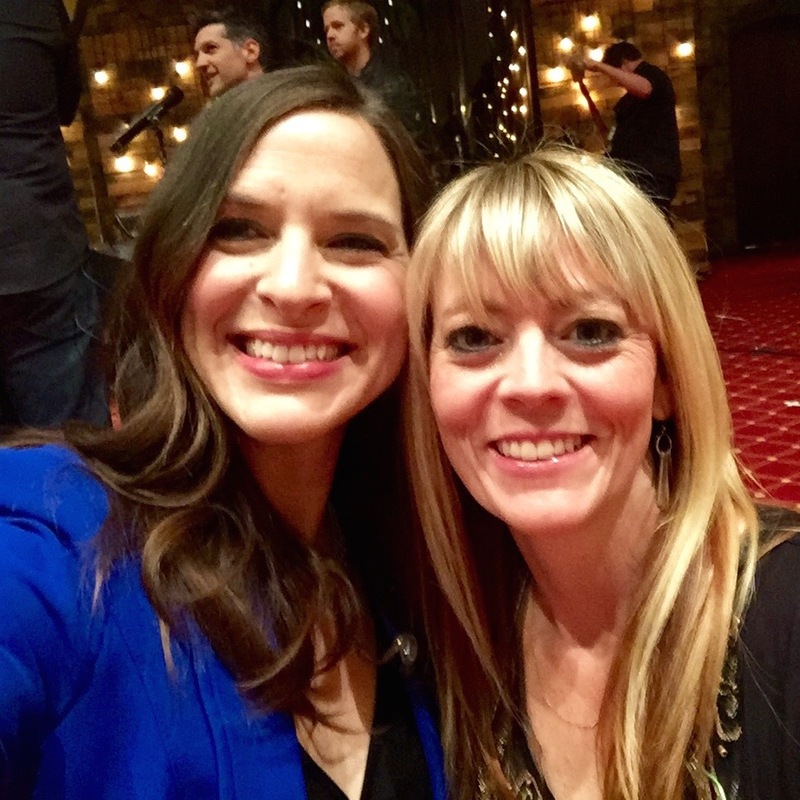 A few times a year, my dear friend and teammate, Jami Stotts and I have the opportunity to lead worship at an event called Freedom Weekend. It’s a day if victory for believers. It’s dooms day for the enemy who quivers at this knowledge. Jami and I get the privilege of starting things off by ushering in the praises of our King. It was one of our first few times to lead at this event, and it was one of the first times I would be leading a song (I was terrified). There were five songs planned and I courageously (wink, wink) agreed to lead one of them….that’s how I saw it anyway. Jami would be leading the other four (thank the Lord). These things get started pretty early on a Saturday morning, and we showed up at the crack of dawn for an early morning run-through. Again, I remind you, I was terrified…for my one song. I thought I was in the middle of my battle, and I was ready to fight and win, but little did I know the battle had not even started. When Jami got there, she was very upset. I approached her to find out what was the matter. She couldn’t tell me because HER. VOICE. WAS. GONE. I knew it. It was the pushback. I felt it. Things were crumbling…. especially me. I tried to play it cool for a minute, and calmly suggested some hot tea. That helps, right? Next, I prayed over her and begged God to restore her voice completely in the next 20 minutes. Request denied. We tried having her run through her four songs only to find out she couldn’t make any noise…at all! WHAT?! Do what? Sing my one sacrificial song that I reluctantly agreed to? Okay, but what about the others? I couldn’t lead those other FOUR songs! My head was spinning. The room was spinning. At this point there was only thing left to do. I went to the bathroom and cried. I cried and cried and cried. I was running out of time when the Lord sent in a fighter to help me. Her name is Lana, and she was sent at the right time, with the right words. She reminded me who I am. I am a fighter. I am a child of The King. She pointed out that I am bold in every other area of my life so I should be bold here and now. She reminded me of the very real enemy who was behind all the fear and panic, and she told me it was time to go out and make him regret he ever messed with us. She reminded me that I had a job to do, and it didn’t matter what it sounded like or how much my voice might shake. It didn’t matter that Jami had no voice at all. What mattered was that people were gathered for a purpose, and that the day needed to begin by praising, and seeking, and expecting God to show up and remind the enemy who’s Boss. So that’s exactly what we did. Jami set aside pride, and I set aside fear. We stepped on stage dressed in God’s full armor, and we worshiped the King of Kings. I lead each song and Jami, steadfast beside me, worshiped as undignified as King David with a mix of stray squeaks and notes, completely unashamed. The whole room worshiped. And the enemy was defeated again. What if we would have backed down? What if we had called a rescuer to come lead in our place? All might have turned out just the same…but it may have turned out differently, as well. We will never know for sure, but what we do know, is that the enemy found out a little more about God’s faithfulness, our character, and the power we have when we submit to The Lord completely. I believe the enemy lost in multiple ways that day, and the part that we played was just one small portion of it, but it’s a portion that I am proud of and grateful for. So I encourage you to press on when you feel like quitting, and to stand firm when you feel like running…. 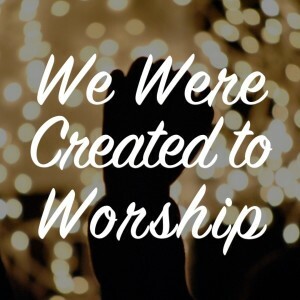 not just in the context of worship, but in all areas of your life. When it all seems to crumble, and when you feel the pushback, I encourage you to remember who you are in Christ, and push forward! 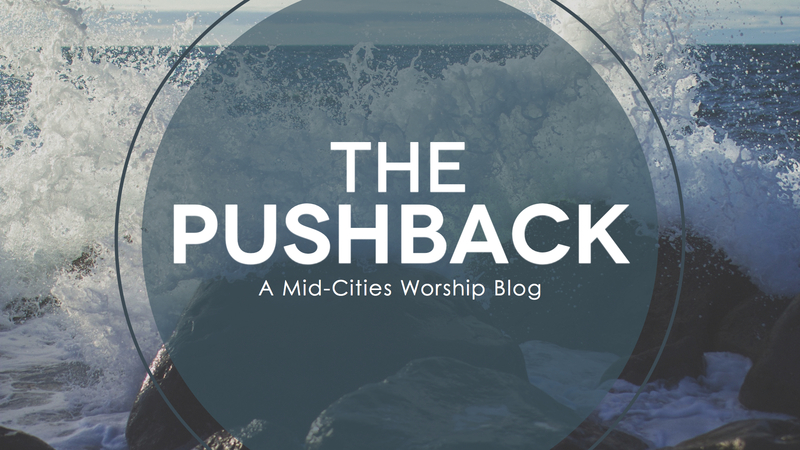 Do you have a story of how God has helped you overcome the pushback in your own life? Feel free to share by leaving a comment below! 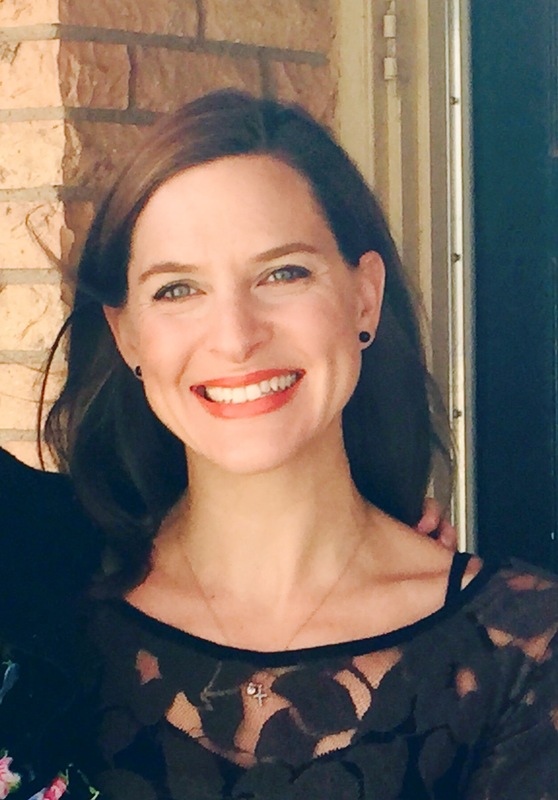 Casey Ginsbach is a volunteer worship leader at Mid-Cities. She and her husband Chris both serve faithfully as part of Mid-Cities Worship. 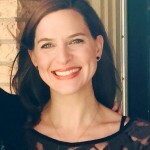 She spends most of her time teaching, serving, and homeschooling their three amazing children.